SAN DIEGO – What does it take for a middle-class family to be able to buy a house in San Diego, with the county median home price at $540,000 and the median individual salary at just $55,500? The houses, with yards and garages, will sell for $350,000 or less – a far cry from what similar new homes go for on the open market. 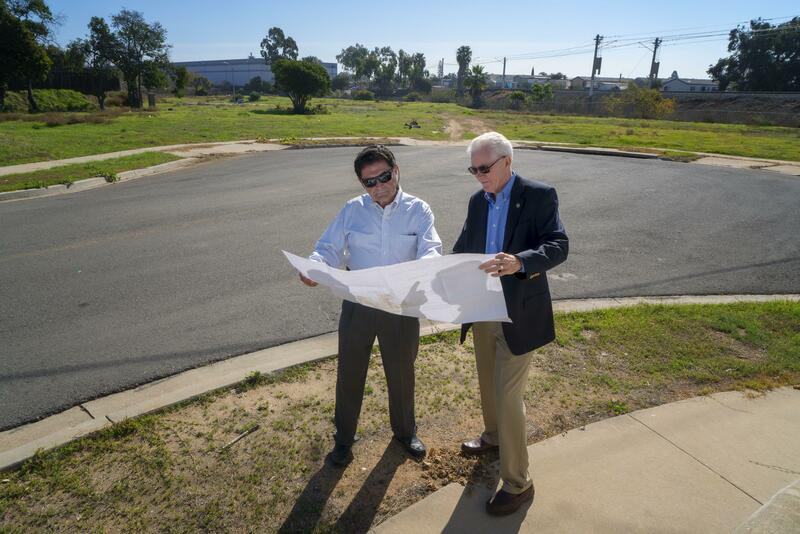 The Land Trust is working on a similar $1-a-lot deal with suburban Lemon Grove to build nine row homes on an abandoned subdivision there. This program is unique to the region in one major way: It’s trying to help working families who otherwise couldn’t buy a first home here. Most affordable-housing efforts in the region concentrate on apartments for people with low incomes. In Southern California, where the homebuilding business is hot, it’s a rare move for cities to virtually give away land for single-family houses. In Nestor, the city of San Diego in 1989 was forced to pay $9 million for the 16 former homes there after a city water retention basin overflowed and sent up to 6 feet of water rushing into living rooms. The land is still in a flood plain. Here’s how the model would work: The San Diego land trust gets ownership of the land and builds homes for sale – but keeps the land. In the Nestor example, the cost of construction and fees is estimated at $3.4 million. That’s roughly $212,500 per house, though the sales price would be up to a maximum $350,000.